Installs in place of your factory pullies. These are BOLT on installations. Expect a nice performance gains. This device works by slowing down or “underdriving” your vehicles accesories. That includes all pulley driven items (alternator, water pump, power steering, A/C, etc.). The less horsepower your engine spends driving those, the more power it has to move your vehicle forward. 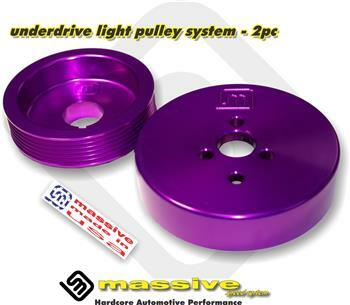 Made of super light weight 6061 aluminum, these pulleys also allow the engine to rev more freely by replacing the heavy iron pulleys they replace. Not cheesy knock offs with fitment problems often found on ebay, these are the real deal. 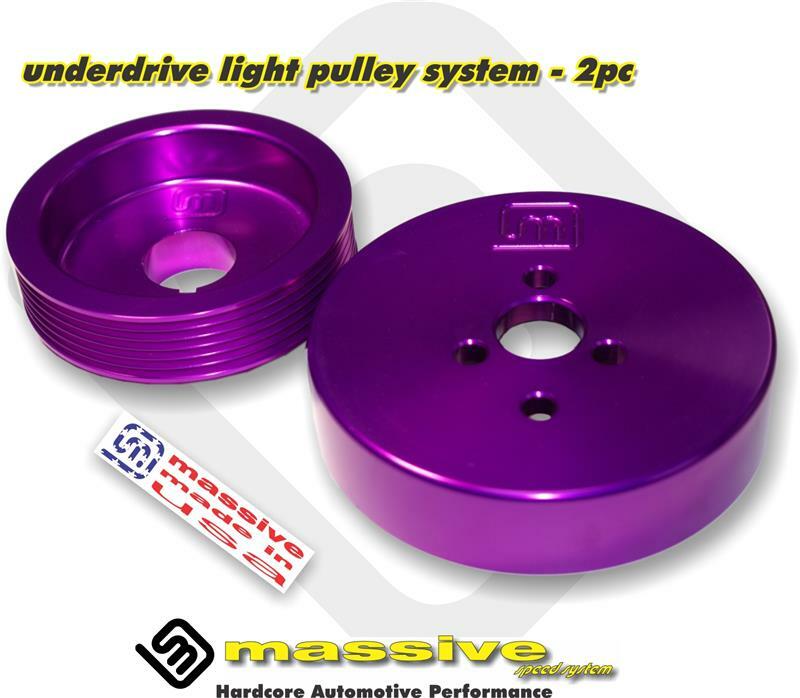 Massive makes our pulleys with the highest precision machinery in the business today, and utilizing ultra close tolerances and a super strength design that will last forever. High quality made in house here at Massive in the USA.